A macOS menu bar app that gives you more control over Night Shift. 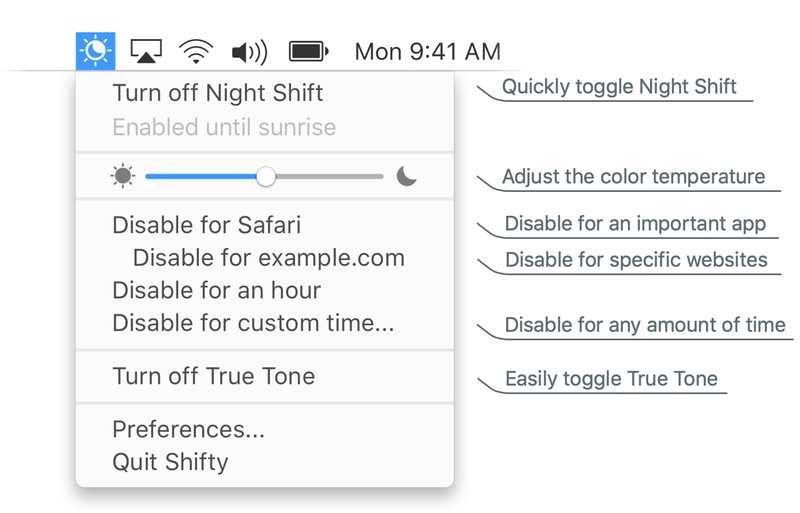 Shifty was made to expand the capabilities of the built in Night Shift feature in macOS. 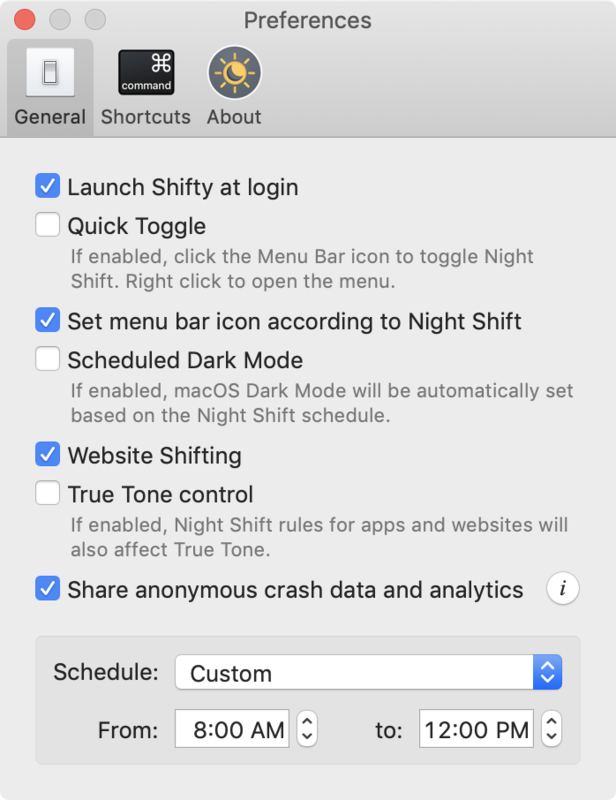 You can disable Night Shift for specific apps, websites, and custom time periods. It also provides easy access to a slider to fine tune your color temperature. With Shifty, Night Shift becomes a power user feature! If you love Shifty, consider donating to help me make it better. If you would like to help translate Shifty into other languages, you can contribute here. Made with ☀️ by Nate Thompson. Have a question, comment, or bug report? Send me an email.